Apple tonight seeded the fifth beta version of iPhone OS 3.0 (Build 7A312g) and a new version of the iTunes 8.2 pre-release to developers. 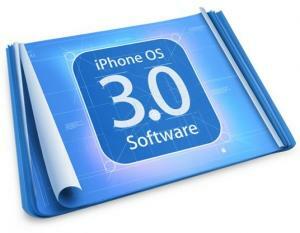 As with the previous beta, iTunes 8.2 is required to install the latest iPhone 3.0 beta software. No new features in the fifth beta version have been revealed at this early time. Today's release is a bit of a surprise, coming just eight days after the release of the fourth beta when Apple had consistently been releasing beta versions to developers at two-week intervals. With only a month to go until Apple's sold out Worldwide Developers Conference in San Francisco where the iPhone OS 3.0 is certain to be a featured topic of discussion, Apple may be increasing the pace of developer releases to begin polishing things for the public showing.